We do hood cleaning sites all across the United States from Orange County to New York City. We create them as lead generation sites that we can rent out to existing hood cleaning businesses. 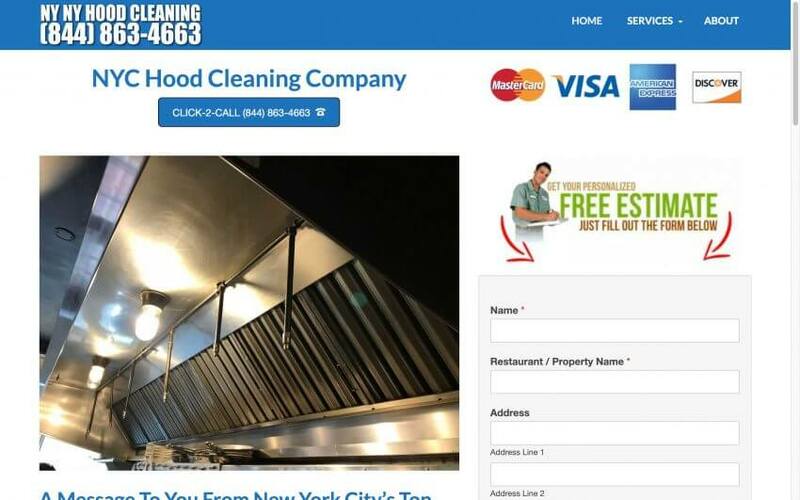 Once we get the hood cleaning sites to rank, we call up local companies and see if they are interested in the leads. Very rarely do they say no. We give them a trial period to prove we know what we are doing works then offer them to have the leads exclusively for a flat rate. If you have a hood cleaning business and see the city you are in, give us a call to see if we have that site rented out yet.